My saliva glands have gone on an overdrive. Firstly this super delicious egg curry, second I love Kerala cuisine and third I love eggs. I wish I had that plate with chapatis and the egg curry in my hand right now. love this curry, can be used in lot of other vegetables. Palappam and mutta curry is my kind of perfect breakfast. 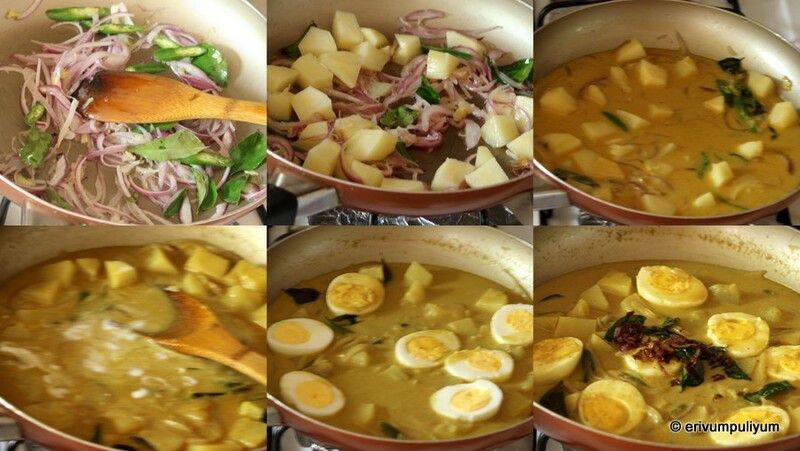 And of course, I love the potatoes in the curry. Beautifully simple and delish! As I scroll down the page I can get that thengal paal smell weird but true :) Nalla appamo idiappamoo muki adikan thonnunu. ohh I am hungry seeing this post..ennike, appam motta curry thinnan thonnunu..
Love this mutta curry with appam.. yum..